Nearly all businesses need an established website blog for maximum advertisement of their products and services. Your website blog allows you to show people what you are doing that is of public interest, especially in business advertisement. It also allows you to be recognized as an expert in your particular field. Website blog further allows you to monetize in various ways and enable you to capture the leads when they sign up in an email list. All these requires a website to be accomplished. In doing so, there is need to increase your blog traffic so that you can have as many viewers and subscribers as possible. Pinterest functions in the same way as Google, only that Pinterest uses images. On Pinterest, there as usesful articles just like in the Google. 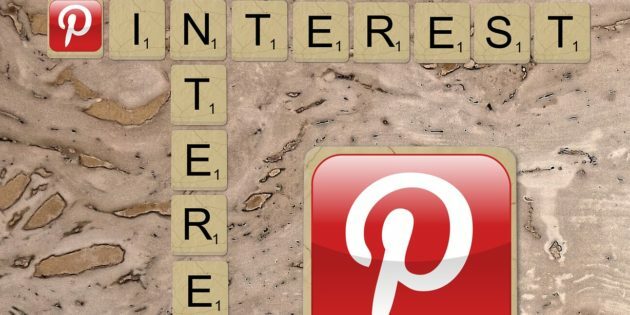 Pinterest is however unique in such a way that users are able to repin to share what they get on their own Pinterest pages. Use of Pinterest to increase your web traffic and is the most cost effective way of getting maximum viewers. Pinterest can be used in many ways to increase the web traffic. Pinterest being the third largest social media, it means that there is a great opportunity to find many readers and viewers for your blog. It is therefore useful to utilize Pinterest in the maximum way possible to increase your blog traffic. The following suggested ways are applicable for utilizing Pinterest to increase your web traffic. Pinterest can help facilitate your blog posts online if you are always clipping articles, posts, pictures or studies and putting them in an idea folder (whether online or offline). You need to come up with secret boards for your blog ideas, then use them as the placeholders for the images, quotes videos e.t.c for your future blogs. Curate boards for your single posts, series on which you are working as well as potential guest bloggers. Secret boards can be used as placeholders for the content you intend to use in future. Since secret Pinterest boards are visible to you alone, you can use them to securely curate content for your business blog and increase the traffic on your blog. Pin Content to Group Boards. Group boards serve as Pinterest pages on which different people pin their content with varied interests. In addition to pinning, they repin content found on group boards. Most of these boards have very many potential readers. Putting your content before many people can substantially assist to increase the number of audience, thus increasing your blog traffic. Your blog needs new updates daily. Pinterest can offer many great ideas for your blogs. You can do this by searching for your specific keywords or keywords related to yours. Select highly acknowledged content by checking that with high number of reviews, comments and that which is constantly recurring. You can also search and find interesting and appealing images on the Pinterest for your blog. Images can be very capturing to your audience especially if presented in an appealing manner. Selective use of pictures and other graphics in the Pinterest can help you to win the attention of many viewers who will consequently read your blog posts, increasing your blog traffic. Most popular Pinterest categories according to RJMetrics report include Home, Arts and Craft, Style and Fashion, Food, Education, Holidays, Humor, Products, Travels and Kids. Any blog that is based on any of the above projects will probably attract many viewers and readers to read your pinned or repined blog. These topics add immensely to the traffic on your blog. Your Pinterest page is supposed to have an organized blog in the best form possible. Information contained on it should be both appealing and meaningful to the readers. This will automatically attract more readers and lead to increased traffic in your blog. You can use a board booster for automation of the images you pin to the group boards. You can as well use Tailwan to schedule pin postings to various boards. These boosters are cost effective and lead to great results in increasing the traffic on your blog. In a nutshell, Pinterest is a great tool that can help you to increase your blog traffic and help you to have as many viewers, subscribers and readers as possible. It is further advantageous because it is awesomely cost-effective which makes it more convenient. While it may take some time to set up, using Pinterest to increase your traffic will expand your limits.